Green Toys Shape Sorter Just $9.52! Down From $20! You are here: Home / Great Deals / Amazon Deals / Green Toys Shape Sorter Just $9.52! Down From $20! Score this Green Toys Shape Sorter at Amazon for just $9.52 down from $19.99 PLUS FREE shipping with Amazon Prime or for orders over $25! The My First Green Toys Shape Sorter puts an eco-friendly spin on a classic play pattern. 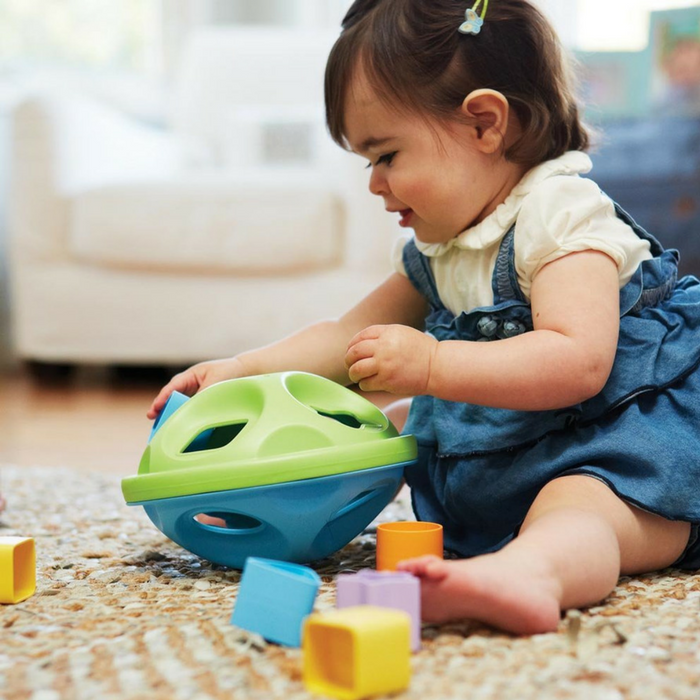 The Shape Sorter helps develop recognition of shapes and colors while also encouraging eye-hand coordination, problem solving and fine and gross motor skill development. The two-part elliptical Shape Sorter and 8 colorful shapes are the perfect size and weight for little hands. Each piece slides easily into the chute cut-outs on both the top and bottom of the Sorter, which opens with a simple twist, separating the two halves and letting the pieces out again.